Enjoy whale watching, zipline, horseback riding, snorkeling or just relax on our beach with a good book, there is something for everyone. Don't like to cook? request our French Chef to come and prepare a great meal for your group in our fully equipped kitchen. up to 10 people. We wanted the perfect oceanfront home with a beach and great view, without crowded beaches and traffic congestion. Samana is the perfect spot. Get away from crowded tourist traps that all look the same, Create a perfect relaxed getaway with family or friends in your own private enclave, COOK and DAILY CLEANING available, at a small surcharge. WE are located in a WORLD CLASS WHALE WATCHING ZONE. from Jan - April. 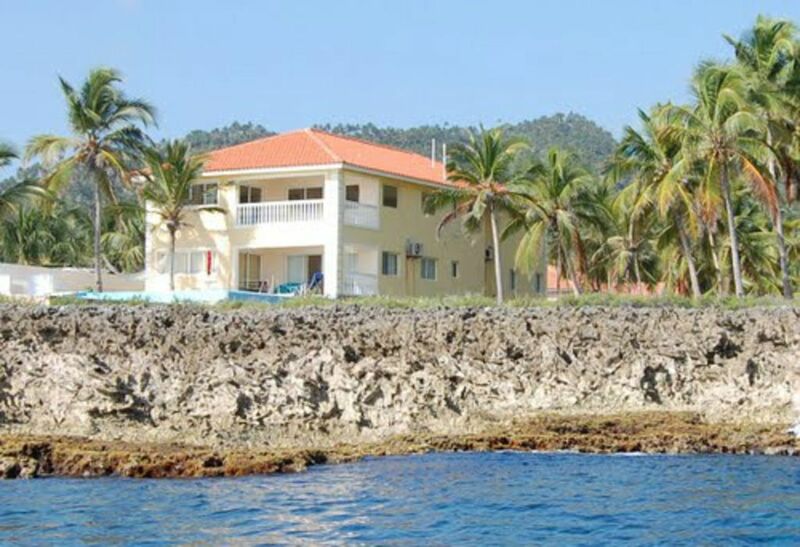 Live your Island fantasy, this is your home for a week or a month, you will not want to leave. Private, secure and quite. A peaceful secure vacation hideaway, Beach at your front door plus several other great beaches within 15-20 min drive. We are in a small gated community with full time security and grounds keeper. Samana is one of the premier Whale Watching spots in the world, watch from our pool or balcony. Zip line tour 15 min away. This was the perfect vacation home for two familes with adult children. 5 bedrooms with en suite bathrooms gave everyone time away when they needed it. The location is a bit remote, but they arranged for us to have a van and driver at a very reasonable rate.We really enjoyed the local fruit and vegetables & the grocery store in Samana (as well as supplies at the house) had everything we needed. Only "issue" was we didn't bring enough cash -- using credit cards isn't convenient, and not available in many places -- including restaurants.The property manager helped us schedule great tours, and the others on the property were very nice. Highly recommend! Samana is a world class whale watching site, tour boats bring clients just off our house to see Humpback Whales from Jan to April. We see them from our pool and terraces.